Oscars Stämmor is a choir based in Oscar’s Church, Oscar’s Parish in the center of Stockholm. This choir, with its 50 members is one of eight choirs within the church. Oscars Stämmor perform about four times a year as well as participating in several morning services as the church choir. Their repertoire is very varied with an emphasis on great classical church music. 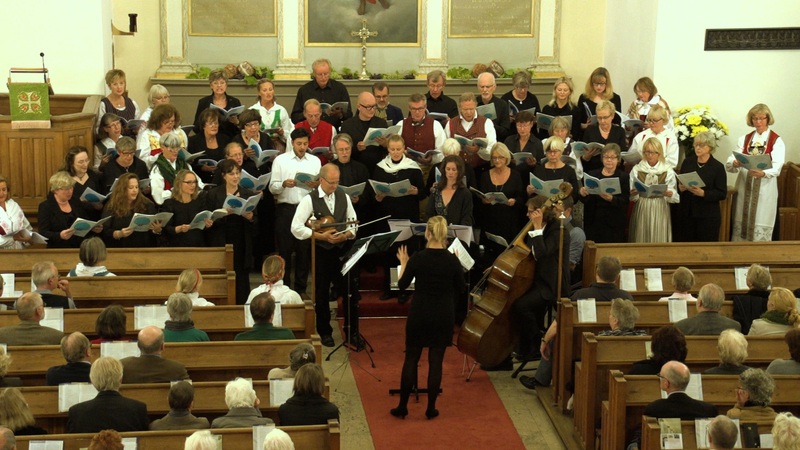 The choir works with various orchestras and soloists from the Stockholm music scene. The conductor Hanna Sandman has a degree in church music from The Royal College of Music in Stockholm. Hanna is also responsible for the children’s choir and is also choir leader/master of Oscars oratorio choir. Hanna has a great liking for contemporary and cross-border repertoires. The pianist is Pär Olofsson. Pär works as an organist and choir director in Oscar’s Parish church, like Hanna Sandman. In addition to his work, Pär is active as a composer and musical arranger.